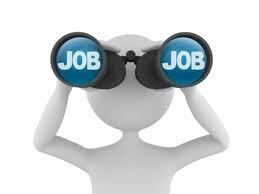 Find advertising production manager career job description sample (ex. 1325), position duties, work roles and responsibilities example. For related employment contract sample click here. 1) Coordinates activities of design, illustration, photography, pasteup, and typography personnel to prepare advertisements for publication, and supervises workers engaged in pasting up advertising layouts in art department or studio. 2) Determines arrangement of art work and photographs & selects style size of type, considering factors like size of advertisement, design, layout, sketches and method or printing specified. 3) Submits copy typography instructions to printing firm or department for typesetting. 4) Reviews proofs of printed copy for conformance to specifications. 5) Assigns personnel to mount printed copy illustration on final layouts, coordinating assignments with completion of art work to make sure that schedules are maintained. 6) Writes instructions for final margin widths type sizes, and submits layout for printing. 7) Examines layout proofs for quality of printing conformance to layout..
[ Other work duties may be described based on the business/industry needs from - advertising production manager - position].